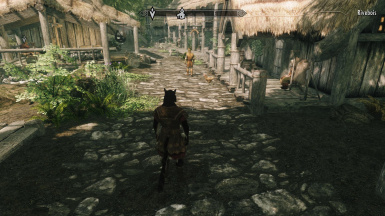 This mod is a port of all the Skyrim "Special Edition" clutter addons to the good "old" 2011 Skyrim. Author : Nico coiN from Wiwiland (french elder scrolls community site), and member of the USKP/USLEEP/USSEP team. - grass density much increased. - an insane amount of vegetation statics added "by hand". - an insane amount of landscape edits to add "generated grass" (may cause conflicts with other mods). - some edits to a few light sources, mainly in some caves and dungeons. - some edits to a few clutter objects (undocumented placement fixes by Bethesda ?). Due to the insane edits amount this plugin is quite big, and I highly recommend the use of SKSE and its memory patch. 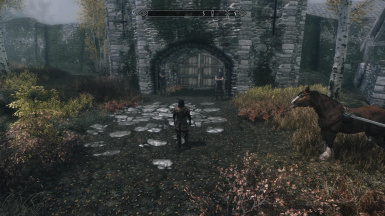 This mod doesn't use any asset other than those from the vanilla game. - all the placeholders for Creation Club content (of course). - all edits related to visuals and shaders (Oldrim should remain Oldrim). 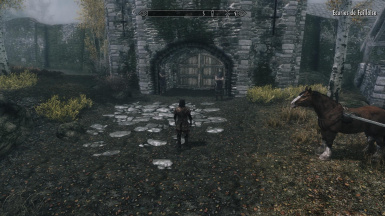 This mod is an esm that should be the immediate first plugin in your load order if you want it to behave like in SSE. And when I say Immediate first, it should be clear enough : any other plugin should come after, and DLCs are no exceptions... All known languages localizations are available, just pick the one you need. 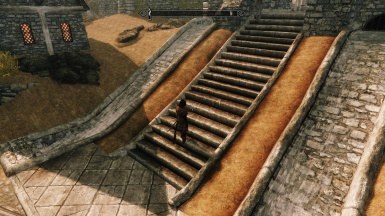 Check your Skyrim.ini file, [Grass] section. 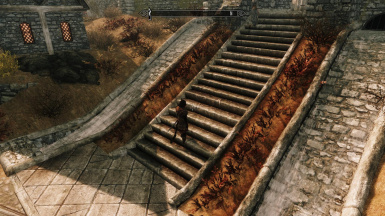 Alternatively, check the S.T.E.P guide to tweak your grass settings. Here are a few notes from me, but I can't tell much about this. Please test yourself and report here for other users. Be warned that I won't offer ANY support. 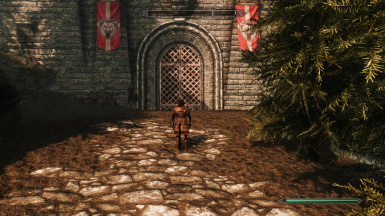 - Unofficial Skyrim Legendary Edition Patch : fully compatible. 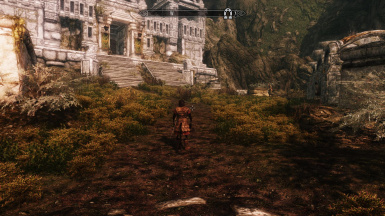 A few placed objects glitches might occur, but as the unofficial patch was flawlessly ported to SE (which incorporates all these added features from vanilla) they should be extremely rare. 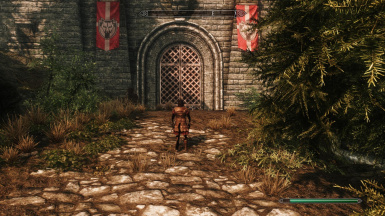 - Open Cities Skyrim : fully compatible, but porting the added features into the open cities would require a specific patch addon and I don't have time to make it. So, the open cities will remain "vanilla". - Mods editing the grass density : conflicts. Overrides may win (meaning no serious/harmful issue) or lead to a few visual glitches. Very unlikely to cause CTD. This includes all flora/vegetation mods. - Mods editing landscape in the same cells as SEF (and there are a lot) : conflicts. Overrides may win (meaning no serious/harmful issue) or cause CTD (this is a known problem with landscape edits, you are warned !). - Mods editing the same areas as SEF (and there are a lot) : conflicts. Overrides may win (meaning no serious/harmful issue) or lead to a few visual glitches. Very unlikely to cause CTD. I thought JK's mods would be incompatible but my testing worked flawlessly (with a significant performance impact, however). Short version : it's a sophisticated port & edit from SSE made with xEdit, an hex editor (advanced checks and modifications - NOT FOR NOOBIES !) and the "Oldrim" Creation Kit (No, I won't port ANY other mod by request). No specific instruction or risk when upgrading to a newer version : just paste the new file over the old one. 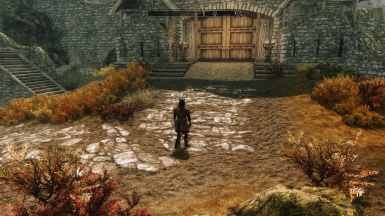 v1.2 : removed edits straightly ported from SSE that disabled water in about 20 cells. v1.1 : the mod was a bit cleaned with xEdit, and the problem with white water should now be fixed. Apart from this I generally don't have enough spare time to offer a proper support for this mod. This mod is provided "as is". Any compatibility patch for other mods should be made by you and will be welcome ! I however won't offer any support for them. - McGuffin for xTranslator, the program used to generate the various localizations for this mod. - people that reported various bugs. 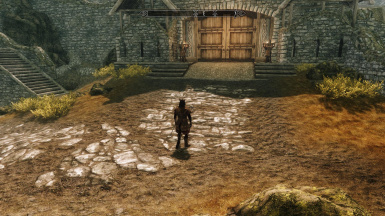 Skyrim is a huge place and I just cannot check everything on my own. - the various authors of the "unofficial" Skyrim translations. I wouldn't have been able to make the various available localizations for this mod without them.